Up until this week, if you wanted to buy American-made sunglasses you didn’t have a lot of options (especially when it came to acetate frames), but a new company is out to change that. Lowercase officially launched this week bringing clean minimal eyewear—that’s made in New York— to market. Recently, I toured the company’s factory in the Brooklyn Army Terminal to meet the team, see some of their new frames and also check out the manufacturing process, which includes some of the coolest looking machines I’ve ever seen. Bringing back eyewear production to New York City, Lowercase introduces its new collection of optical and sunglass frames. Based out of the Brooklyn Army Terminal, the first collection of frames features unisex styles with a highly-curated color palette focusing on attention to details and a clean aesthetic. Once the raw material arrives from Italy, each frame moves through a 30-step process that incorporates delicate hand work as well as the latest manufacturing technologies. Founders Gerard Masci and Brian Vallario have a strategy for every step that goes into a pair of their shades, which are all made in Brooklyn. From sourcing materials to hand-finishing the product, Lowercase’s process is slow, steady, and absolutely entrancing to watch. Born and raised in New York City, it was important for Gerard Masci to maintain a personal relationship with his new eyewear brand, Lowercase, which he launched in 2015 with co-founder Brian Vallario. LOWERCASE has unveiled their core collection of frames, bringing back eyewear production to New York City. Their first full collection offers a unisex set of styles in a highly curated color palette, and focuses on a clean aesthetic with attention to detail. Tired of ubiquitous eyeglass frames? The specs from these global brands are neither tediously classic, nor unwearably eccentric—but occupy that sweet spot in-between. Launched this week, Brooklyn-based Lowercase sets itself apart by producing domestically—virtually unheard of today. That allows founder Gerard Masci more control and flexibility in creating his frames, which are clever riffs on classics. 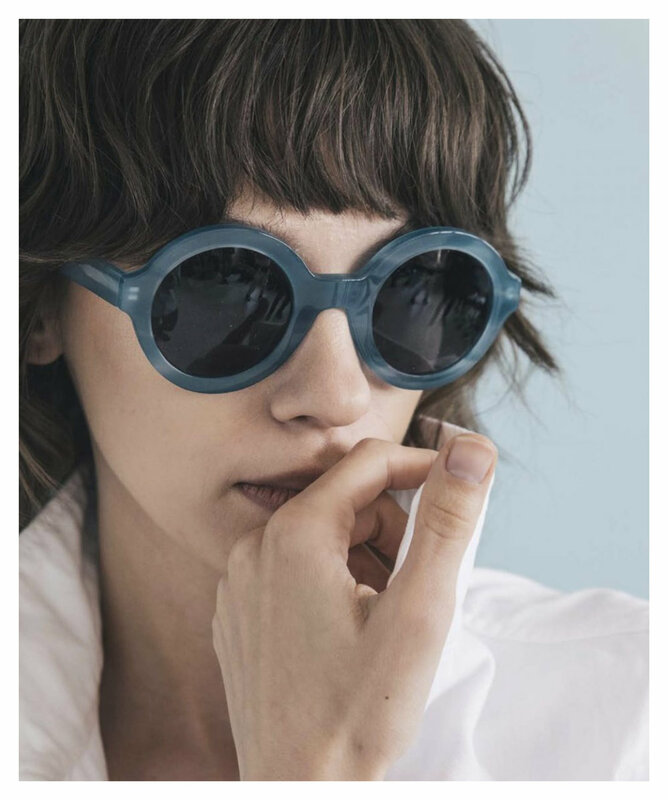 Once his team gathers the high-grade materials, including acetate and lenses from Italy, it undertakes a 30-step process, by hand and machine.